I am not big on resolutions.. why build such huge expectations and goals for an entire year just to struggle through the first month? I am more about each day being a brand new day from God. Each day allows grace and newness to be all that you are meant to be. Setting goals are great and I am encouraged that God allows me the wisdom to set goals for myself and family, always being mindful that He can tweek them to fit his will. I am excited to bring some new ideas to my blog for 2012. Fantastic books that continue to roll of the presses of talented writers. Themed months to showcase some smaller businesses and their passion for what they create. Jan will be a reuse and recycle month with eco friendly companies and lots of awesome giveaways. Feb is a huge coffee review month with mugs, coffee, calendars and some super cool businesses working for humanitarian efforts. Looking forward to having internet again! Typing posts on a phone is a bit taxing! 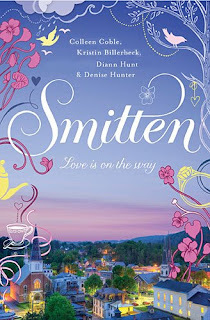 Who wouldn’t be Smitten when reading that these 4 awesome authors collaborated together to bring us the small town of Smitten, Vermont and 4 heroines much like themselves! The brainstorm of Colleen Coble, Kristin Billerbeck, Diann Hunt, and Denise Hunter, this Christian fiction book is romance times four.The four gals of Smitten: Natalie, Julia, Shelby and Reese, devise a plan to save their small town after the lumber company closes down. God may have even more plans for these girls while they hustle and bustle to create a great town, maybe a love interest for each? You will love this 4 in one novel, with each author so skillfully portraying their character and melding them together into one super fantastic read. Subtitled Love is on the Way, you will love this fiction novel for the depth of character, the interaction between each one of them, and the skillfulness of having 4 authors write one book! Do you remember back in Math class, hearing about Fibonacci Sequence? 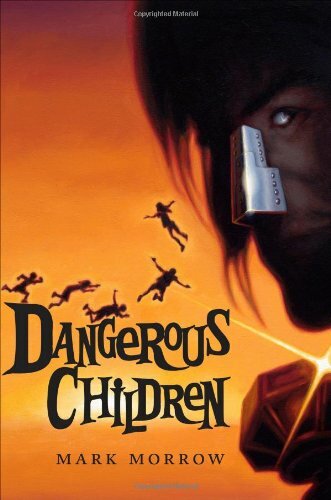 The name rung a bell with me when I heard that and was intrigued to see what this book was all about. The famous mathematician Leonardo Fibonacci, the young student amazed by and mesmerized by numbers.. much to the chagrin of his family and elders who often referred to him as Blockhead. Little is known about the mathematician, but this tale by D'Agnese takes facts that were known and creates a wonderful biography style picture book about the man who realized the wonderful natural pattern of numbers. Now D'Agnese attributes that to Mother Nature, which I understand as a book to the general public. I on the other hand contribute it to God of Heaven and Earth who designed the pattern. I find it fascinating that Fibonacci was able to use his mathematic ability to realize such a pattern. The book has beautiful and detailed illustrations of the places and things Fibonacci saw, all incorporating the spirals that are a symbol of the pattern. The end of the book has a Can you Find section that sends the reader back through the book looking for details in the illustrations. Loved this book for the uniqueness in subject matter, a figure in ancient history that I am enjoying having my young children learn about! I received a copy of this book from MacMillan publishing in exchange for an honest review. Two stories intertwined to bring the true meaning of Christmas alive in this holiday story. The first, a recently widowed Miarian, depressed and lost in her own anger of her husband being killed on the border by smugglers. The second, Isabella, a mexican citizen being smuggled into the US to find refuge for her unborn child. See where we are heading with this one? Kathi Macias does not write drivel. Intense emotions, raw with hurt, can God work his redemptive powers? 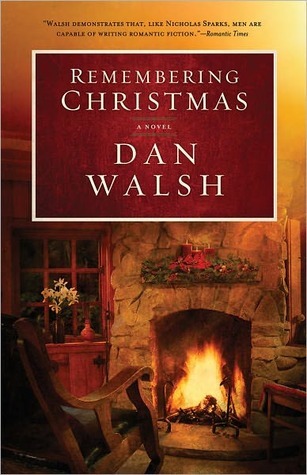 A novel that gets to the heart and generosity of Christmas. The looking beyond our own pain, and realizing that there are things that still need to be done in the world. Don Alfredo, Isabella's grandfather was one of my favorite characters. A dutiful prayer warrior despite all he had lost in raids in his city. Awakened by God to pray for his grandaughter, he was so willing to follow the call of the Holy Spirit, though his weary bones longed for sleep. To be like Don Alfredo in our praying for others! Not an easy, light hearted read as many of the Christmas stories I have read this season. A truly beautiful and emotional story that you will want to reread yearly. I received a copy of this book from Kathi in exchange for an honest review, and I have been blessed. Do you struggle with patience? Who doesn't right? Well how do we get children to understand the character of being patient when they are generally anything but patient? Rhonda Funk addresses the lesson of patience in her book about brother sister duo, Pookster and Bubs. Bubs is one of those rare kids who doesn't mind waiting for things, say like loose teeth to fall out. Pookster has loose teeth out of her mouth in 45 mins from the time if first wiggles! Pookster certainly doesn't understand Bubs patience with such important things like loose teeth. Pookster wants her 2 front teeth gone for Christmas so she can sing the famous song and mean it! Will determination to succeed be what Pookster had wished for? Patience is going to sneak in there somewhere and probably when Pookster leasts expects it! Rhonda records the book on cd for children to go the old fashioned way of listening to books on 'tape' and changing the page at the tone :) But.. it wont be necessary to use that because parents are going to want to read this book. It is humorous and has lots of AHHH moments for Mom and Dad to share with the kiddo's. Great job Rhonda! Looking forward to more of Pooksters antics in upcoming books!! As part of our homeschooling this year I thought it would be fun to take a 'tour' of each state. We have utilized various resources to find facts, recipes and the history of each state. I have read numerous picture books to the kids of the various states. 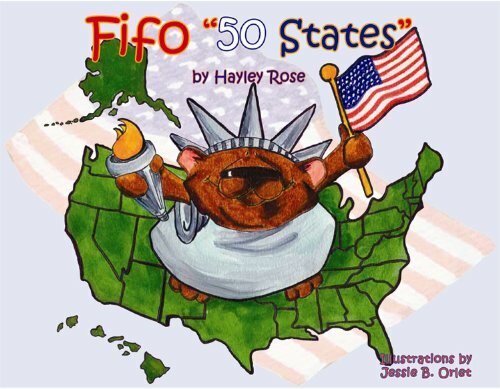 Fifo '50' States incorporates fun information into each of the states in kid friendly, rhythmic prose. Hayley Rose mentions the capital, state bird, flower and and tree for each state that Fifo visits. The illustrations incorporate all of these facts and show Fifo on a grand adventure in each state. Kentucky for an example has Fifo riding a horse in the Kentucky Derby! Fantastic reference book for homeschoolers and teachers. Add it to your library and suggest to your local public library to add Fifo '50' States to its offerings. 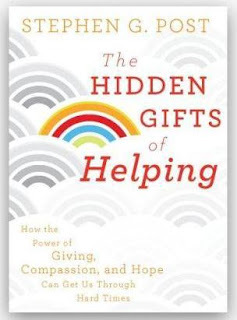 Many thanks to Hayley Rose for providing me with a review copy of this book. It has been well loved and treasured all ready. Visit Fifo at his website http://www.fifothebear.com/ and find some fun activities to go along with the book. While you are there check out Fifo's first book "When I grow up". Seasonal Affective Disorder, darker days, cooler weather, let down of the holidays.... the season for depression is heavy upon us. Scott Morris has written a bimonthly series of books on new ways of wellness from aging to weight control to depression. This specific book targets the depression that is so incumbering to so many. This daily digest book spends 40 days helping you choose ways and habits to help improve your depression. 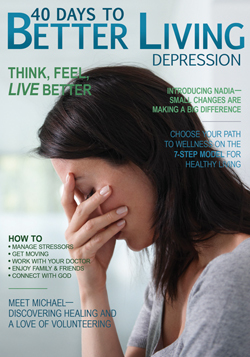 Depression is a multi-facetted illness that the author attacks in a 7 step model. Daily aspects of your faith, physical health, exercise, work environment, emotional well being, relationships with friends and family, and your nutrition are all addressed with either an activity to do, a thought to mull around, or a journalling activity. These 7 steps are encapsilated by a morning relflection and an evening wrap up, to give you a full days worth of good health ideas. Not just a typical self-help book, I love how it has the reader interact and actually do something about their depression. I love how it reads like a digest or magazine rather than a book. I enjoyed the personal testimonies of clients from the health center. I appreciated the holistic approach to wellness rather than just tackling one or two of the areas as many depression books seem to do. Well done and I would enjoy reading more in the series. Trying to get on the wagon with all this technical stuff, and as I work on having help on my blog, just wanted to pass along my Facebook page to you all. I am excited about upcoming themes for 2012!! Late Dec to early Jan I will be showing you calendars, devotionals and planners to get your year started out on the right foot. Mid Jan lets look at making some green resolutions. Starting small and looking at eco-friendly and reusable resources. Then February is the Coffee Revue where we will have 2 weeks of all things coffee!! I will have a coffee revue button shortly that you can put on your blog. 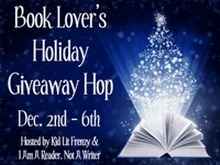 Lots of giveaways and fantastic products!! I am not a movie buff by any stretch of the imagination. I rather READ!! But.. when I hear that there is a great family movie going to be released I stand in line at the theater to support it. The only time I go to the theater, I typically wait a few years for it to be on Netflix (I am cheap!). Based on a true story this movie looks to be full of suspense, intrique and as typical in family friendly films, REDEMPTION. Here is just a quick blurb of the movie to come out in February 2012 so be sure to look for it, and get in that movie theater line! Steve Talley and Academy Award nominee Eric Roberts star in Deadline, the story of the murder of an African American youth in rural Alabama that has gone uninvestigated, unsolved and unpunished for almost twenty years. But that changes when Nashville Times reporter Matt Harper meets an idealistic young blueblood bent on discovering the truth. Harper undertakes the investigation despite the opposition of his publisher, violent threats from mysterious forces, a break-up with his fiancée and his father's cancer diagnosis. Deadline is a story of murder, family, race, and of redemption — for a small Southern town and for Matt Harper. Inspired by a true story, Deadline is adapted from Mark Ethridge's novel Grievances. Ethridge is a former managing editor of The Charlotte Observer. Deadline will be released in theaters nationwide in 2012. "Mark Ethridge has captured the South in a way that is every bit as evocative as Midnight in the Garden of Good and Evil and he has told a story as riveting as the best Grisham courtroom thriller. But Grievances is no mere thriller. It is a story of the heart that will resonate with readers long after they have turned the final page." Sign up at www.deadlinefilm.com for updates on the release and also you can watch the movie trailer!! 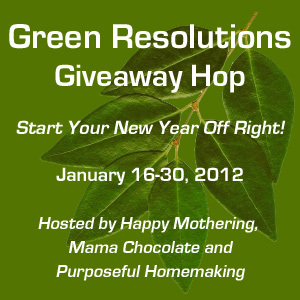 I have participated in several giveaway events over the past few months, and have had so much fun discovering new blogs to follow and connecting with some fabulous women that I decided to team up with Mama Chocolate and Purposeful Homemaking to host the Green Resolutions Giveaway Hop! We decided on this theme because so many people make resolutions every January, and we want to help them reach their goals of being more green and living more naturally! If you’re a blogger and would like to participate, the event will run from January 16-30 – and is completely free to participate in! Simply visit Happy Mothering at this link and get signed up to join in the fun!! 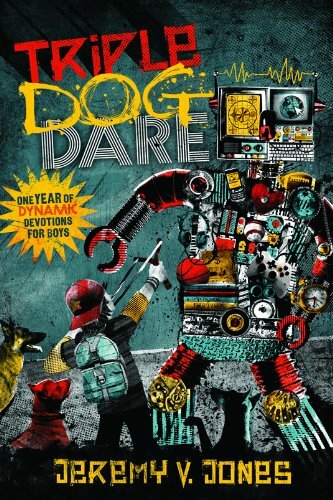 One year of Dynamic Devotions for boys! What an exciting book for boys to delve into the word of God without all the complexity that some devotions for adults have. Totally geared toward 9-12 year old boys who long for adventure. Taking the famous stories of the bible and bringing them to the young mans level, and encouraging action on his part to mimic the bible heroes. Each day begins with a scripture to read and then takes that and forms a Truth from God's Word. 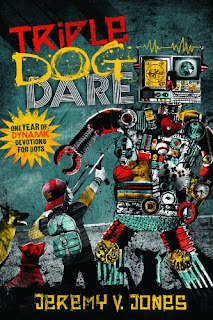 A relevant story for that scripture for the boys is followed by a triple dog dare; 3 ways the boy can take action and have a hands on experience from what he has read. Mission Accomplished gives the boys a place to journal what they learned, and did for that day. Innovative and contemporary boys will enjoy doing these daily devotions as they aren't just reading, but actually doing!! With the new year coming this would be a great time to inspire the boys in your life to get serious with God, and delve into this extremely fun devotional!! Do you enjoy Amish Fiction? Then you are in for a treat with The Christmas Singing! During the holidays I am drawn to anything nativity related. I don't get very excited about Santa and his minions but to read about the glory of my Savior gets me excited all season long. Such a beautiful, compact book. Written in poetic prose, on aged looking pages with gold trimming. Detailed, yet simple.. much like our saviors birth. 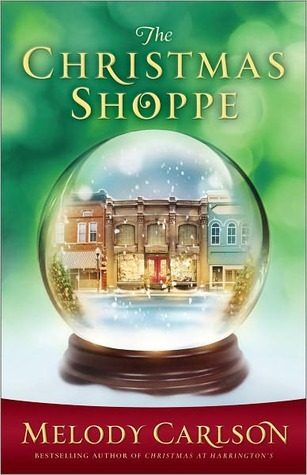 Heidi Hanseen could have easily just put out a book for the holiday season, but she added dimensions to it to make the story come alive for the reader. The included CD reads the story including music and narration for a spiritual journey for the entire family. Also on the cd she includes a shorter version without additional harp interludes. Also an instrumental version so that you can put on your own nativity play. You can download the pageant script free with purchase. Use the script for your own family to act out the pageant or share it with your church family and the youth participate in a group nativity. Beautiful and inspirational in music and verse. 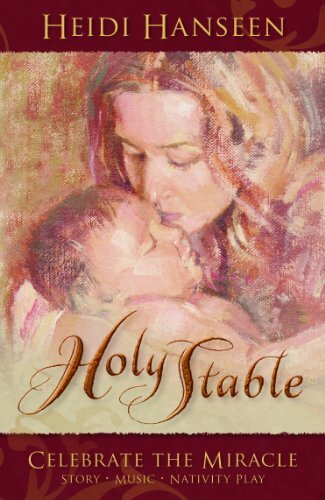 ABOUT THE BOOK: Holy Stable: Celebrate the Miracle, restores the tender joys of the season! Discover how sharing the gift of Jesus’ love blesses relationships, as you enjoy the magic of children’s narration, original music and song. Mary and Joseph’s devotion to God and sublime caring for each other will bring you to experience the story of Baby Jesus’ birth as never before. Holy Stable is more than just a Christmas “play”! It has everything an actual pageant has and is a perfect highlight to our Christmas season! Holy Stable brings about inspired memories, the play adapts for a few participants or a larger group and for use with or without your own vocal talent. Harp, wooden flute and violin instrumentals come with and without vocals and narration and are coordinated with the innovative script, including tips, which are offered to you as a downloadable bonus gift at http://www.holystable.com/. ABOUT THE AUTHOR: Heidi is a mother of eight and first time author. Her long held interests in studying scripture, benefiting relationships, drama, music, artistic expression and nurturing love came together in this multi-media experience. She’s an avid reader and writer and has conducted children’s music and participated in choirs for many years. I do not have food allergies that I know of, nor do I need to have a gluten free diet. 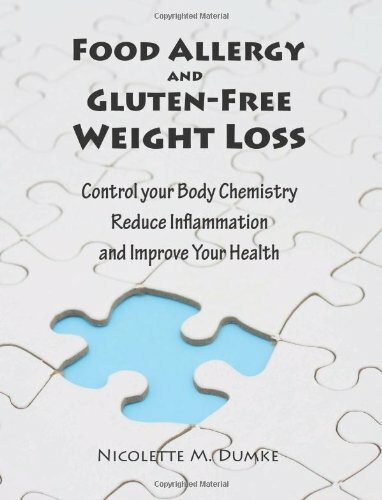 I did however have an interest in weight loss using the method that many with food allergies use to get their eating habits to align more with their body chemistry. The author asks so what must we do to lose weight? "A non-diet, an eating plan that is not overly restrictive, supplies all of our nutritional requirements and permits choices that respect our need for the pleasure and emotional satisfaction that should come from food." This plan tailors the diet to your own personal needs. Nicolette does mention that the timing to start this program needs to be right. She says 'an especially stressful time in your life may not be the time to start this program', so that kind of curbed my usefulness for the plan currently as we are getting ready to change jobs and move. :) I had hoped to have time to try it out and let my readers know my thoughts through observations, but that will have to wait until a less stressful time. Nicolette discusses the princeiples of glycemic control for weight loss and taking charge of our hormones. The plan outlines meals and snacks that help control your blood sugar, and are organized into food units. She gives 9 principles to follow to help you choose the right foods for your body. Breakfast, lunch, dinner and snack plans are all included in the book along with recipes. Detailed in the descriptions of the body and the systems, but she does include a 'fast track' method for wanting to dive right in. I recieved a copy of this book from the author and Pump up Your Books in exchange for an honest review. ***(The winner will be the person that shares their best story of holiday giving/receiving or a time when they received many blessings by helping someone who needed it. Give me so many I have to struggle to choose!! May we each be blessed by one anothers stories of giving this Christmas season!! Thanks to all who entered and have a blessed Christmas! Ann Spangler has written some amazingly indepth bible studies that have enlightened me on the women of the bible and the names of Jesus. When I saw that she was editing a Bible to come out I knew that it would be a Bible I would utilize often. Learning the different names of God has always been a desire of mine to grow more in my walk. The different names I feel describe the different character qualities of God, and allow me to express my inmost feelings more than just having one name for Him. 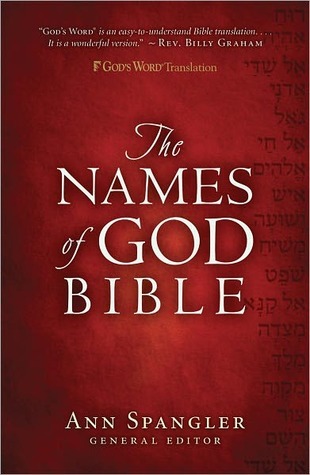 If you are a student of the Bible and desire a more intimate look at the names of God, this is a fantastic resource for you. 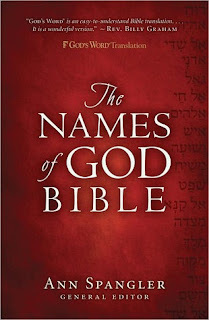 I enjoy just looking through and calling out the names I read for God in this edition. Not only that but it can easily be used in church or research as it is a complete Bible in of itself. 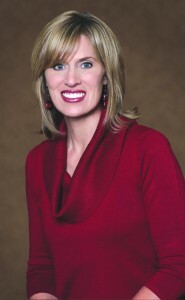 Fantastic job by Ann Spangler in her research and depth of the names for our creator. I received a copy of this bible in exchange for an honest review. I just love gifting books for special occassions. There seems to be a book for every person out there. My very favorite book to gift is a Bible. This precious little bible for baby's is perfect for giving to a new Mom and Dad for their little one, or giving to a baby for their 1st birthday. My Grandma has a tradition of gifting her great grandchildren with Bibles for their first baby and I love that! This Bible is a padded hard back book coming in blue and pink. The pages are thicker, but not board book style. Perfect for Mom or Dad to read to little one and show them the pictures, but not a hands on book for them. The illustrations are big and bright, the focal point of the bible stories. Simple stories to captivate the child while they gaze at the illustrations. The bible hits the basic stories in words that are easy to understand, without taking away from the importance of the word. 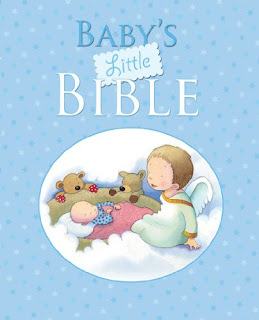 Consider having a couple of these Bible on hand for your next Baby Shower, or little one joining the church. I received a copy of this Bible from Kregel Publications in exchange for an honest review. Two Christmas stories come together in the book When Love Finds You Under the Mistletoe, one from the past and one from the present. Julia Mayfield as a wish to her dieing sister is taking her nephew to see the grandparents that he never knew. Dealing with 2 year olds isn't something Julia is good with after spending some time in World War II. Figuring she can do this wish for her sister, then move on with her life and write the book she eagerly awaits to write about her war adventures. The grandparents are too distraught over the death of their son that they will not even acknowledge that their grandson is who Julia says he is. She just wants to get out of this backwoods hollar and get back to society, when her parents throw a wrench in her return plans, causing Julia to stay through Christmas. Love of family and friends grows on Julia in KY, will she ever be able to leave this hollar again? The second story is a modern day tale of Holly, an abandoned infant on Christmas Eve. Adopted by Christmas store owner Mr. Goodnight, Holly leads a happy and joyful life with her 'father'. A writer gets wind of her story of abandonment and wants to write a novel about her. Holly feels that maybe it is time to come to grips with her past and agrees. The author, Van falls for Holly as he is writing the story. What does best friend and childhood playmate Owen feel about that? Winterton has not felt the warmth of Christmas and the spirit of love and joy for over 100 years. Neighbors are brisk with one another, no compassion and love, no smiling, only coldness of heart. Mayor Coldstone and Mrs. Sleet discover a girl, Mimi who is obviously not from Winterton, with her smile and rosy cheeks. She is put in the attic of the orphanage. Her small friend a Humbug begins to hum a tune that others hear that begins to warm their hearts. 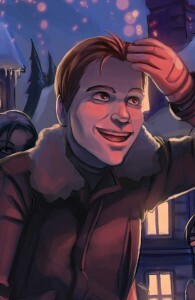 Mayor Coldstone is determined to keep Winterton in the dark and cold. Lee Baker describes Winterton and it's in habitants with words like, icy, sheets of frost, arctic, frigid and more. Very detailed descriptions that make you chill as you read it. 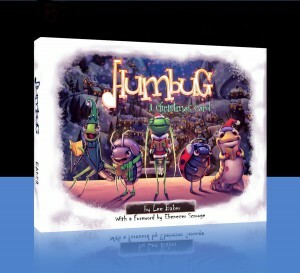 Can the tiny Humbugs song bring the reindeer and Christmas back to Winterton or has it been frozen for too long? Darling book to add to your Christmas collection. Sharing the theme of the love of Christmas and the warmth it brings to communities, Lee Baker does an excellent job of showing the difference that the love can make. ABOUT THE AUTHOR: Lee Baker is the president of Sandman Studios, a visual effects and animation company and has taught courses at UCLA Extension, Loyola Marymount University and the University of Utah. He is the author of the illustrated books “Humbug, A Christmas Carol” and “Beau and the Beanstalk,” and now his latest thriller “Speed of Light.” Lee lives in Utah with his wife and five children. Thanks to Media Guests for a copy of this book in exchange for an honest review. 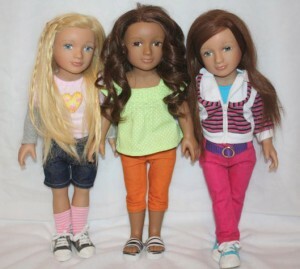 Step 1: Visit http://www.mysalondoll.com/ and get to know the three different dolls: Brynn, Malaree, and Kendrey. Then decide if chosen, which doll you’d like to win. This giveaway is being handled completely by My Salon Doll, I did not receive any compensation or products to review with this promotion. All 3 to one winner!! Leave your name and email in the comments of this post. Comment by Dec 6th midnight! Merry Christmas to all the Book Lovers! What a delight to receive these darling PetCakes stuffed animals in the mail!! We got 2 from the Forest Animals Assortment of which there are 4 in the collection. Made by Well Made Toys, these stuffed forest animals come with a cupcake hat and detach from the cupcake base to come out for a visit and play with it's young owners. They they can retire to their cupcake bottom for a restful night and turn once again into a cupcake! Very innovative concept as Cupcakes continue to be the rage in toys and designing currently. These are indeed well made as we pulled and yanked on their arms and legs, testing for durability of these stuffed animals. 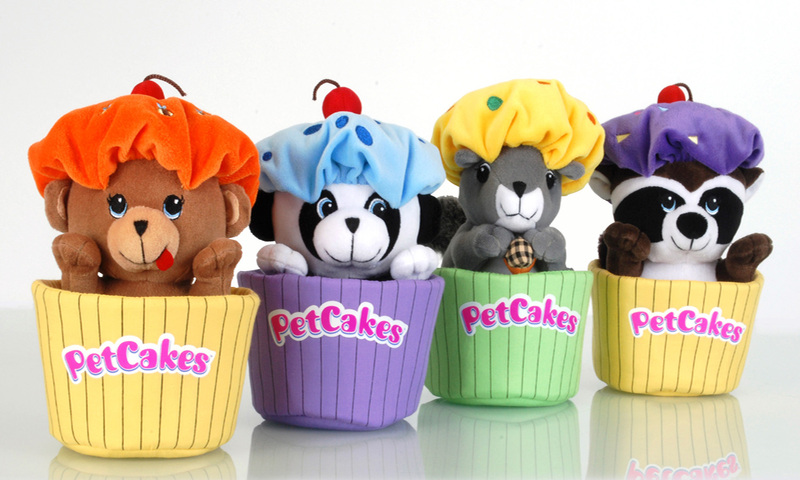 Special Offer: Buy (4) or more Petcakes® Collectibles plush toys and receive the PetCakes® Collectibles Minis - 4 pack FREE you only have to pay an additional $1.99 shipping/handling. These will make wonderful Christmas gifts for the little ones in your life, and unique to the other stuffed animals I have seen lately. Get your order in now just in time for Christmas!! 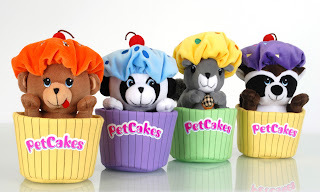 One of my lucky readers will have a chance to win one of these darling stuffed animals..
Visit PetCakes on Facebook http://www.facebook.com/#!/PetCakesToys and leave wall posting on their page telling them which PetCake you like best, and that Melanie sent you!! Then leave me a comment here with your name and email for a chance to win!! The book has a lot of action and adventure. The storyline opens with a clever twist; all be it a little confusing. the kids lose their parents to a mysterious man from another dimension. They only way to save their parents is to play a living board game. The children go to several amusing worlds. Each world must freely give its greatest possession to the children, so that the children can trade them for their parents. As the book progresses the children learn valuable life lessons such as trusting each other, working as a team, and being honest. The biggest thing they learn is how much their parents love them. The sequence of events was a little off, and there was like a limited third view narrator that didn't always know what was happening. I received a copy of this book from Tate Publishing in exchange for an honest review. Encompasses a full range of craft ideas for each season of the year. 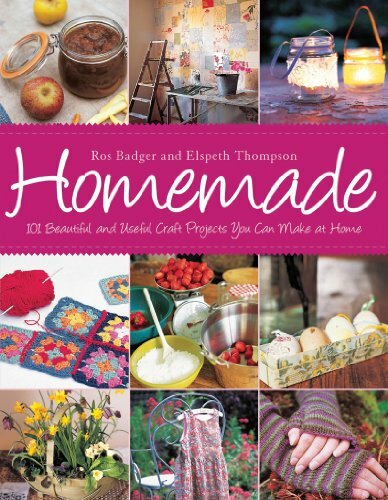 Crochet, knitting, paper crafts, sewing, cooking, gardening.. anything you can imagine is in this book Homemade. Divided into the 4 seasons this book gives detailed instructions that go along with each season. Full color photographs give with full effect and finished products. Homemade cards, recycled containers, Patchwork Walls, colorful cupcakes, tea cosy, and Christmas ornaments are just a few of the crafts available to make in this hardback book. Patterns are included in the back of the book for a few of the projects. The authors are knowledgeable in the craft area and both are seasoned authors. Fantastic gift book idea for the holidays that will keep on giving year round. We all know the traditional Christmas Carol by Charles Dickens, remade into a variety of different movie versions from Muppets to Jim Carey. 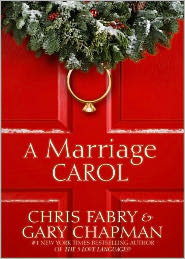 But what happens when you take the Christmas Carol concept and apply it to marriage. Introducing Marlee and Jacob Ebenezer (of course), married 20 years, deciding to call it quits on their marriage that slowly has been dieing. They are on their way to sign papers of divorce when they have a car accident in the blizzard like conditions. When Marlee awakes, Jacob is gone and she goes in search of him, finds a cabin in the woods and meets Jay and his wife. Jay has a way with words and insights and shares a magical snow with Marlee that allows her to see her past, present and future options. 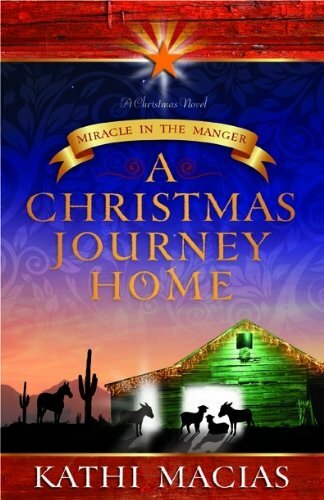 Beautifully written Christmas story of really taking into account what we have been given and not taking it for granted. Gives the reader a glimpse of what our path could be like if we don’t stay the course in our marriages. For those hurting in their marriages, and those who have had the longevity it is a darling story of forgiveness and redemption, bringing to fruition all that God brought us on that first Christmas morning.